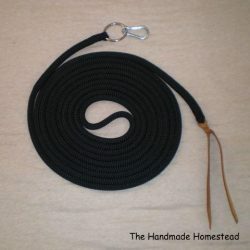 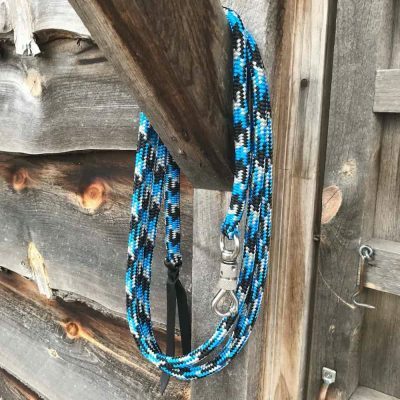 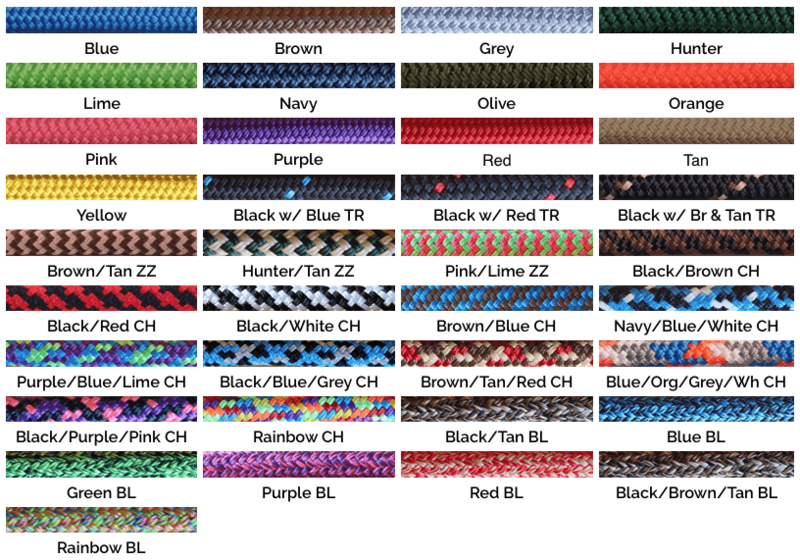 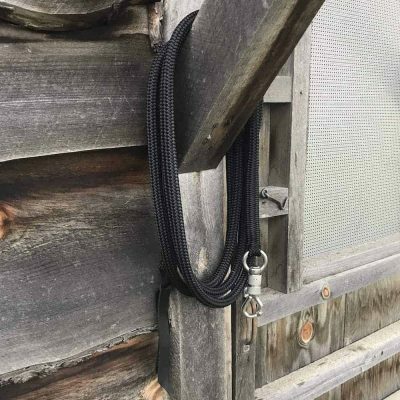 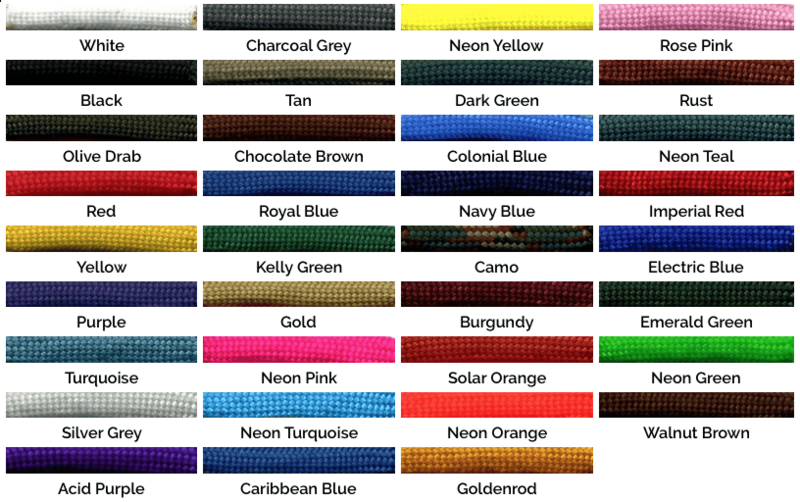 Made from premium black double braided polyester yacht rope, in your choice of 8 ft – 12 ft. It offers superior strength, softness, durability, and resistance to saltwater (sweat), abrasion, sunlight, dirt and is rot-resistant. 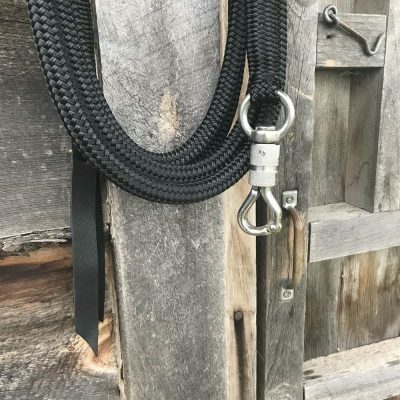 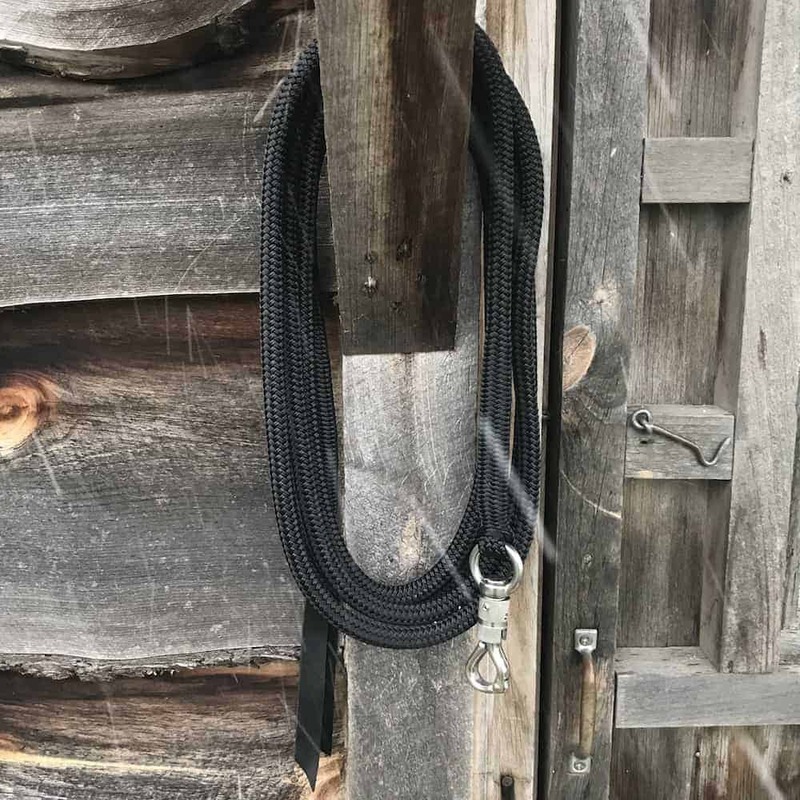 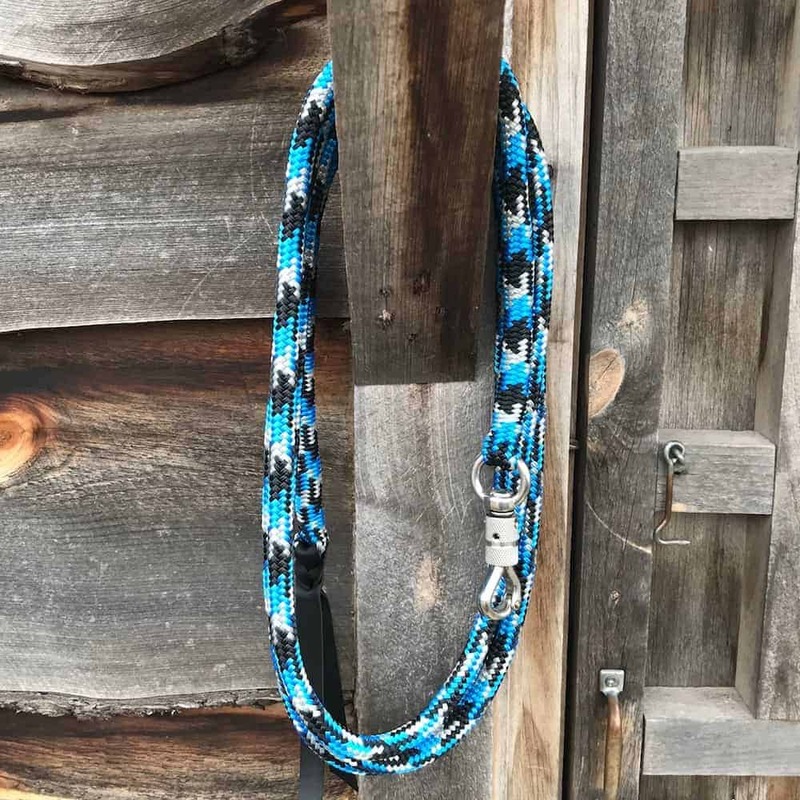 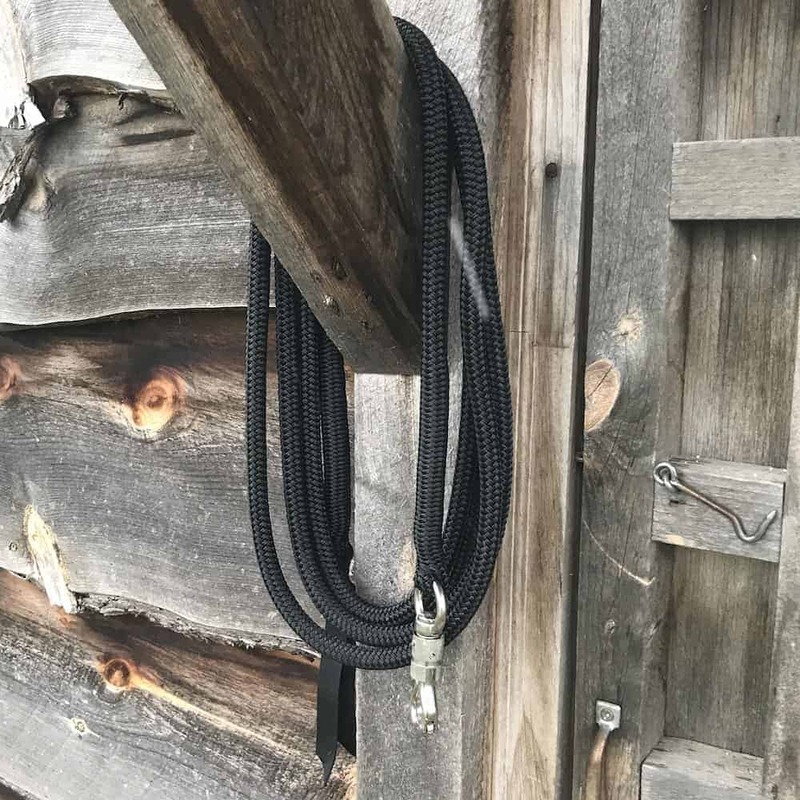 I’ve spliced in a stainless steel twist snap so it easily switches from one halter to the next, and leather popper (leather may be a different color than shown) on a weighted back-spliced end. 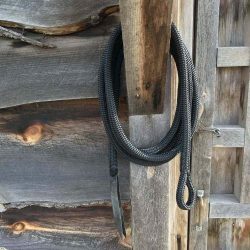 These ropes have a long lifetime and are washable. 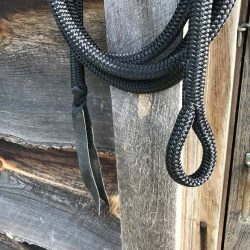 This rope is also easy on your hands, no more rope burn. 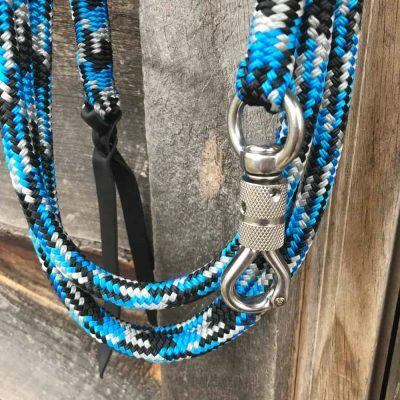 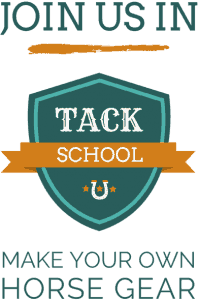 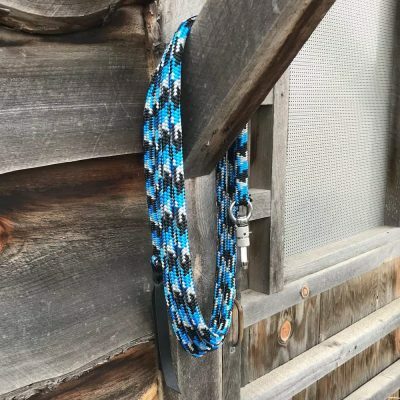 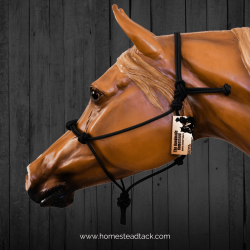 Get this great rope without having to pay the high price. 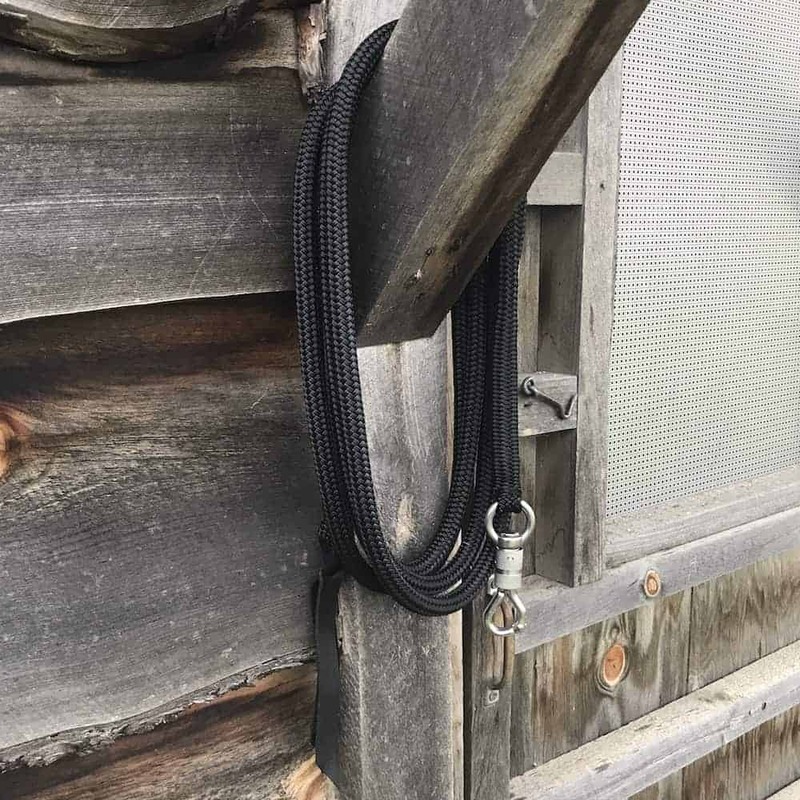 Stainless steel hardware is well suited for coastal climates.